Take 18 towards Petersburg turn right onto Ky 20 about 2 miles, on the right. 9.1 acres in Boone County! 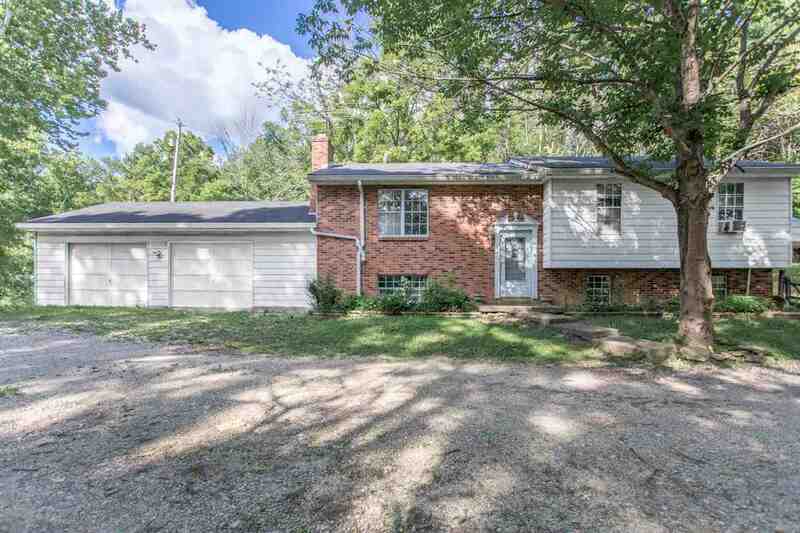 This Tri-level home is surrounded by mature trees and lots of wildlife. The 40x60 garage is on a slab foundation, has a lift and many tools that are negotiable. This home needs some TLC. This home and property can only be shown with your agent. Motivated seller! Wear your boots! Property sold as is.